"The wifi connection is good as well as room." "Lots of restaurants around the area." "Very good location & reasonable rate ." "It is nearby Filipino market and a big seafood restaurant such as Hua Hing Air-Conditioned Seafood Restaurant." "Strategic location due to near the centre of the town." This five-story boutique hotel features an ideal waterside location, home to many of Kota Kinabalu's major business, commercial, and cultural centers. Guests can indulge in a variety of culinary delights and enjoy a multitude of entertainment options at the Warisan Square shopping paradise and the Kota Kinabalu Waterfront complex. 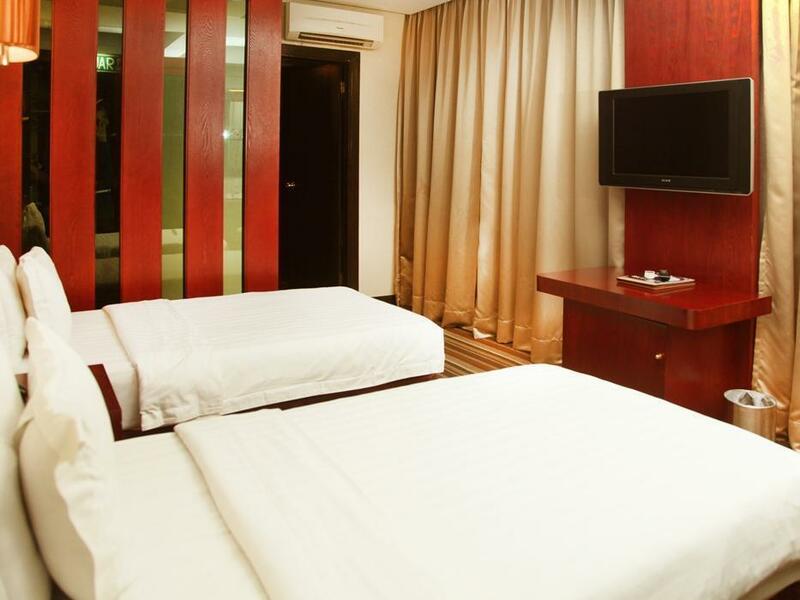 For further convenience, the hotel is just minutes away from the international airport. 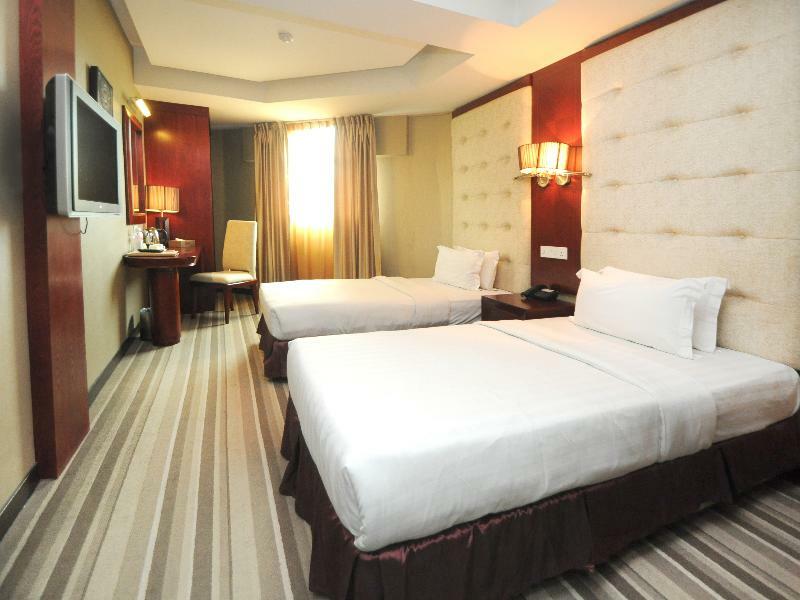 There are 72 well-designed guestrooms to suit the needs of both business and leisure travelers. 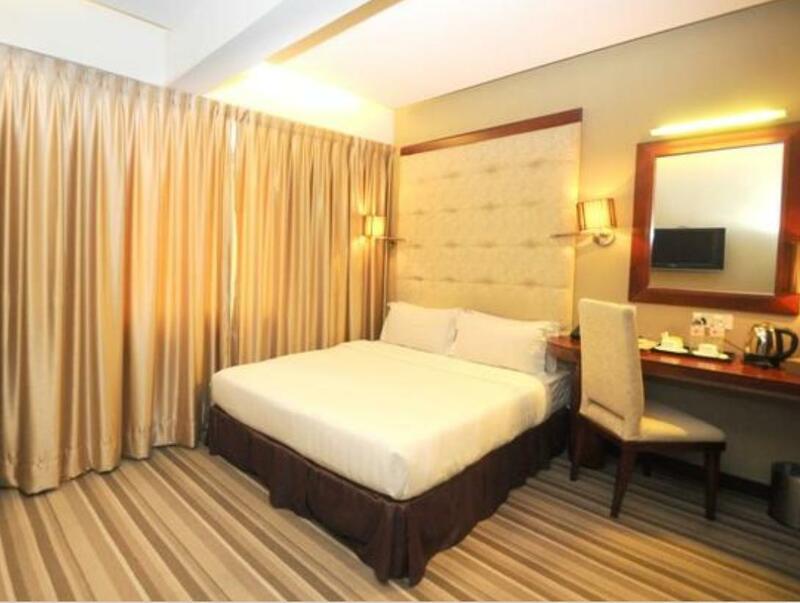 Combining its convenient location with the finest set of facilities, Celyn City Hotel ensures the utmost comfort for all guests. "The room is value for money." Lots of restaurants around the area. Halal or non halal. Massage palour & few money changers. What best...Centerpoint Mall is just right beside. A few minutes walk to the market beside the sea & so was Tamu Gaya. The staffs were friendly & helpful. A limited parking area just infront the hotel door. This hotel is located at the main City Centre and very nearby to all the amenities, so you need not to worry on food, shopping and many more. It's value for money and I will recommend this to all kind of travelers. The only good thing about this hotel is its location. Nothing else. Shabby elevator ride. Receptionist was rude. We even paid additional 30MYR for tourism tax, we were mot aware of the additional payment. Room was okay, and creepy, maybe because of the room light. We added additional 50MYR for the key deposits. Over all, it's a one star stay for us. Actually my wife with her friend stayed at this hotel.. So far, the staff is good, friendly and polite. But this hotel is not well maintained and manageable... In 5d4n stay, my wife and her friend was change 3 rooms in 3days. It's very terrible. 1st room, got interrupted by strangers by knocking and try to open the room door due to main door was spoiled and not repaired. 2nd room, air conditioning was not fully maintained and repaired that caused leaking, the sounds like knocking. Consider a budget range hotel include breakfast with price over RM127.00, I think their asking price is over value around 20%. There is no facilities include gym room, swimming pool or fridge refrigerator. Beside the hotel shoplot got three restaurant during night, but their price is also slightly expensive then the area around. It is nearby Filipino market and a big seafood restaurant such as Hua Hing Air-Conditioned Seafood Restaurant. Another drawback is, you need to carry up your luggage above one level before you can use a lift!! Strategic location due to near the centre of the town. Great location with many shops / market within walking distance. Room condition is clean and tidy but they provide me with a smelly towel. Air-condition, TV, power sockets, lighting all works fine. Toilet condition is okay except there are some stains on the wall. Water heater, exhaust fan works fine. The drawback is the café (for breakfast) is located quite far away from the hotel. Overall I would say its a value for money place to stay and I will return to stay for my next trip. You cant get anything good than this. Just beside Centrepoint. 1 minute walk to Api-Api. 5 minit walk to Philippines Market. Sorrounding really good. Just a little bit shocked one morning because a person wear like technician uniform just outside my open curtain window to check something outside. Door locked looks like been forced open so many times. Main door (shared door) likely been open just like that that can leads to security issue. 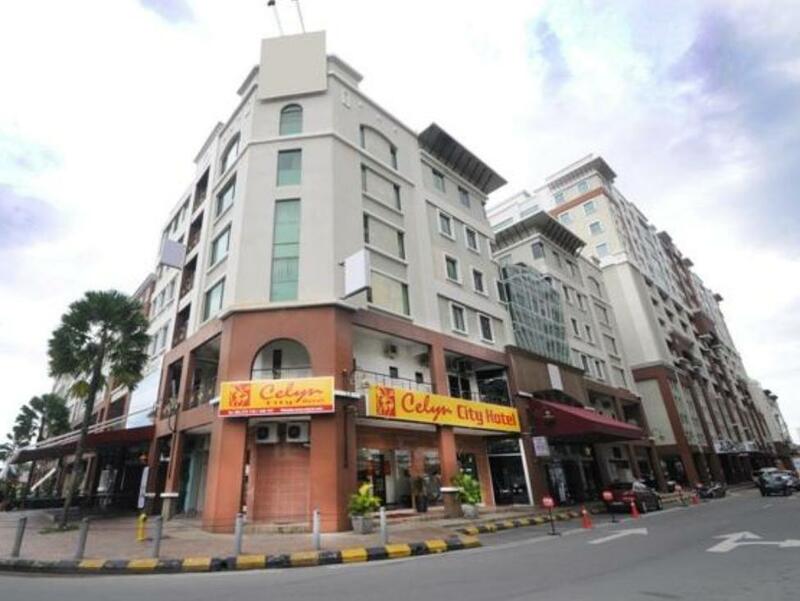 Hotel located middle of kota kinabalu city. Opposite Center Point mall. There is 7 eleven nearby. Walking distance to Phillipines market. Staf are friendly. Room pretty secure with room card access to room. Wifi a little bit slow. Water heater not working. Stay at the hotel was great. We came in a group of 7 and had 3 rooms spread out across the 2 blocks. The hotel was very convenient to restaurants and shopping. And as McDonald's was just across the street, there's no way of hunger complaint even in the middle of the night. One of the nights we stayed there, it was raining heavily and gotten to rent the umbrellas from the hotel. The toilet was immaculately clean as well. Just a stone throw away from the Centerpoint Shopping Center. I drove from Brunei to KK was a long a tiring journey. Found the hotel easily and had a great room. Hotel was very convinence and food was everywhere.